The St. Eusebius Church is the largest Church and the largest building in Arnhem, Netherlands. 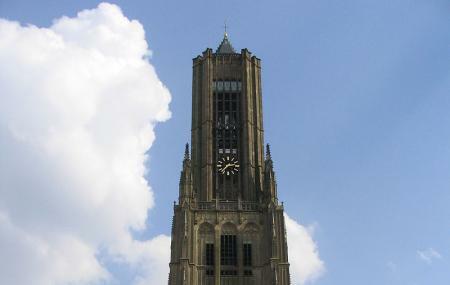 One of the notable mentions of this building is that it contains an elevator which allows the visitors to travel to the top of the spire and view the city of Arnhem from there. The Church was extensively damaged during the World War II and was restored in the year 1961. The place is currently not used as a church but as a place of historical importance. People generally come here to get the full view of the city from the top of the building. Use Arnhem trip planner to visit Eusebius Church and many others to your visit. Hotels like Hotel Arnhem Centraal, Hotel Molendal and Design Hotel Modez will solve your problem of where to stay in Arnhem. Chalk out the best way to discover the city with Arnhem vacation packages. Check out various modes for how to reach Arnhem. How popular is Eusebius Church? People normally club together Manhattan and Burgers' Zoo while planning their visit to Eusebius Church. Beautiful place to visit and enjoy the beautiful historic heritage of Arnhem.